After receiving a glowing referral from a close friend who had experienced amazing results after working with Sleeperific, we decided to contact Krista. Best. Decision. Ever! Our son (6 months) was waking every 2 hours through the night and would only nap for 20-30 mins in his crib. Life was becoming very miserable. Having read copious amounts of books/websites/articles and listened to conflicting advice, we really needed a personalized sleep program, and the support to implement it. Krista was nothing short of amazing…and I mean AMAZING! Within a day (yes, 1 day!) 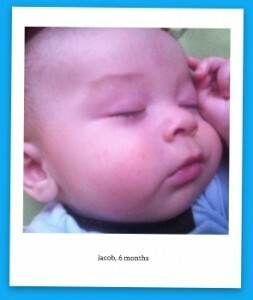 of implementing the personalized sleep routine, our son was sleeping for over a nap per nap in his crib! Our son is now sleeping through the night and taking all of his naps! Working with Krista has been a life changer and a sanity-saver. Krista has maintained the highest level of professionalism, calling exactly when we scheduled and keeping email contact. I would HIGHLY recommend Sleeperific. Parenting can be hard work and having Krista’s support has helped beyond words. Thank you Krista for your knowledge, wisdom and kindness. 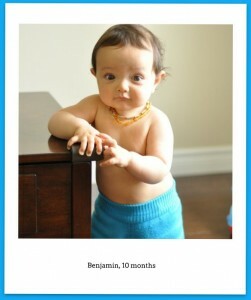 Turns out our son is a happy, delightful baby…. he was just really tired. Hiring Krista from Sleeperific was the best thing that my husband and I have ever done for our baby. Before calling her, my son (5 months old) was taking one 3-hour nap from 7:45am until 10:30am in his swing with a soother and not napping again until 3pm for about 45 mins in his car seat. He woke up at night every 1.5 to 2 hours for either his soother (which he was VERY dependent on) or his bottle. I rocked him to sleep every night while enduring him screaming, kicking and crying anywhere from 30 minutes to one hour. I was so exhausted and worst of all resentful of my son and having some serious regret over the whole decision to have a child. It was horrible and I felt constantly guilty about these feelings! After hiring her and having a very thorough consultation, she put together an easy to follow plan for us that was not only clear, but also gentle and effective. Within three days my son went from essentially not sleeping to putting himself to sleep for 3 consistent naps a day (in his crib without a soother!!!). At night now, he goes down from 6:30pm to 7pm for the night, waking only once to feed which was my decision to keep in (Krista has given us the tools to effectively wean out this feed in a safe and gentle way if and when we decide to do so). Best of all, my son’s moods have dramatically improved during the day and he is even performing the milestones that he wasn’t doing before (such as sitting up and rolling). I always thought that I just had an incredibly fussy and difficult baby. Turns out, he was just really tired! Our family is so much better rested, so much happier and now able to really enjoy this time. I cannot stress enough how much we valued working with Krista and how incredibly professional, calm, attentive and flexible she was with our needs and wants. I highly recommend hiring her. She has changed my perspective on my son and allowed me to enjoy my maternity leave. Thank you Krista!!! Infant Consultation: building healthy sleep habits from Day 1. I literally have tears running down my face as I write this message!! We are so GRATEFUL to you and for the guidance you gave us! Sleep has been AMAZING!!! Like, AMAZING!!! M is a fantastic napper – and is on a very good schedule with regular, long naps!! She is such a happy baby, and so content, I can’t even begin to explain. Her night times are great – and happily falls asleep on her own, as she does with EVERY nap!!! Thanks so much Krista. 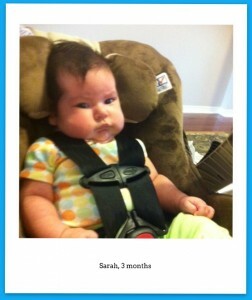 We are a really happy family – because we overcame our biggest fear with having another baby….sleep deprivation. Great process from start to finish. I felt all my questions were taken seriously and properly addressed. I feel extremely confident moving forward to handle any “bumps in the road” which may come along due to illness, travel, growing, etc. The witching hour that just wouldn't stop. I just wanted to take a minute to say thank you for all your help over the last couple of weeks. Thanks to your tips and strategies, Luca is sleeping so much better and we no longer find ourselves in a battle each and every night… We are so grateful for all your support. Our not-so-little guy was still waking multiple times overnight and ending up in our bed by the end of the night. Our 5 year old son, Davis, has never been a “good sleeper”. To be honest I do not recall a single time when he slept through the night on his own. We read so many books and tried so many different techniques to try to get him the rest he so needed. Unfortunately, we had little success. He strongly resisted going to bed, woke multiple times overnight and at some point over the course of the night he would inevitably end up in our bed. His lack of sleep was affecting his mood, his behaviour and his performance at school. It was also taking its toll on us since if he wasn’t sleeping, neither were we. We were at our wits end and did not know what else to do. Then we heard about Sleeperific from a friend. To be honest, we didn’t want to get our hopes up too high since we tried so many different techniques previously. After speaking with Krista though that all changed. She has such a warm, empathetic and supportive approach that it instilled confidence in us that we could truly do this and so could our son. She was very knowledgeable and had some wonderful and very practical suggestions at each stage of the game. Success did not come easily. He had truly never slept well in five years and initially he was not interested in changing his sleep habits. It was not an easy road but Krista was there every step of the way to walk us through the steps and continue to provide emotional support at the toughest times. For the first time in his life, Davis was able to sleep through the night in his own bed. The first time it happened I thought I was dreaming. He was so proud and so were we. He hardly resists going to bed now and rarely wakes up overnight. He now sleeps through the night most nights and we couldn’t be happier. I truly don’t think we could have done this without Krista’s support and we will be forever grateful. We wholeheartedly provide the highest recommendation for Krista and her company, Sleeperific! Thank you so much Krista! Two boys tag teaming all hours of the night. I just wanted to take a moment (while BOTH boys are asleep at the SAME time…. woooo hoooo!) to thank you so much for all your guidance and support over the past two weeks. When I first contacted you, I was struggling so much with Samuel’s sleep and was spending my days tired and resentful. I wasn’t enjoying the time I had with him because I felt like he was ALWAYS awake. Within a few days of starting your program, I could see the changes taking place. For me, the biggest change has been knowing there are BREAKS in my day – whether it be with both boys sleeping, or with Owen awake, I get a BREAK from having two kids all.the.time. And the value of this to my sanity I cannot even express. I’m that mom — the one who loves her kids fiercely, but who also struggles with the weight of knowing that I’m it. I’m the mom. The one these two boys will look to and run towards every day of their lives until they’re grown, and even after that. The weight of that is so heavy some days, especially in the thick of breastfeeding and sleepless nights and temper tantrums. So, thank you. For restoring my sanity and providing my family with real life tools to encourage, promote and protect the sleep of these two little munchkins. Needing help to discreetly sell her child, OR make bedtimes more manageable. We chose the latter. Met this sassy (and sleep deprived) Mama on Monday. Consulted with her on Tuesday. Sent a sleep plan on Wednesday. Thank you so much, Krista, for all of the valuable information that you provided us. You were so personable and friendly – we instantly felt comfortable working with you and sharing all of our concerns, and our many, many mistakes! You are a fountain of knowledge regarding sleep and babies! Thanks to you, we were able to recognize our daughter’s sleepy cues, understand the sleep patterns of a baby, and most importantly, understand our daughter’s sleep needs. You gave us the tools we needed to start helping our daughter fall asleep unassisted (yeah!) as well as how to start creating a sleep routine that would mean less crying (yeah, again!). I am finally finding myself a more calm mommy because you helped me to figure out how to make my daughter’s sleep routine easy. Thank you, thank you, thank you! I will definitely be recommending you to all of my mommy friends! Benjamin was a good sleeper until he learned to stand up on his own. We thought it wouldn’t take too long for him to grow out of it. But we were wrong. By the time he was 10 months old, he would wake 4 to 5 times a night for 5 mins to 1.5 hr each time. I am so glad we found Krista, she was very knowledgeable and supportive. She sent me a sleep plan shortly after we communicated. I asked for a week extension to set up the house for the sleep training, due to our family circumstances. During that week, we implemented a few simple changes Krista suggested, and the magic happened.We never had to cope with a sad, crying child which we feared would be part of sleep training. Our son has been consistently sleeping 11+ hours at night with two long naps during the day. He is now so happy and alert during the day. Thank you, Krista! We didn’t know what was going on? It would take 2-3 hours to get our kids to bed and we had no idea why? We were at our wits end when we decided to give Krista a call. After speaking with her for 20 minutes, we already had some insight into how we could start making this better. Krista empowered us with her knowledge and enthusiasm, but was also our biggest cheerleader and motivator when we needed her. Krista has been so warm and friendly. It was so easy to connect with her and we really knew she cared for our family. And as it would turn out, we DO have great kids! Thanks so much for helping our family. Sleeperific changed our lives – for the much, much better. This is what maternity leave is supposed to feel like? I was missing out until now! My daughter now naps and sleeps in her crib. It’s amazing. Her quality of sleep has improved ten fold and now that I have extra time when she is sleeping I can spend more quality time with her when she’s awake. We decided we wanted our bed back. But I was completely resistant to the idea of a sleep consultant. I was convinced the only tool they had was to let your children cry it out. But I knew that there was a better, more rested and happier parent in me who needed to get her family back in working order. Krista provided me with her wonderful advice, but also her generous and kind support. She was very respectful of our wishes to avoid crying. She devised a plan that we were all comfortable with. And it was completely successful! Both our children are sleeping independently and instead of dreading bedtime and the drama that went along with it, we now look forward to those times. Not only that, but I feel better, I’m a better parent and a better person because we’re all sleeping well. Thank you so much for giving us our lives back! It was great working without/being guided by Krista, and had awesome results! Have already been spreading the word to friends and family if their children have issues to not wait a year before giving her a call! Thank you so much for your help! We felt lost – we knew we needed to do something but didn’t have the confidence to initiate something ourselves. Sleeperific was knowledgable, supportive and encouraging. She worked within our values and comfort level to develop a program that fit our family. We were shocked at how quickly we started to see improvements. It’s not perfect but we know how to keep at it to work toward our sleep goals and it is SO much better. Thank you! Overall, this was a wonderful experience for our family. It was relatively painless, given what we achieved, and it helped us reach our goal of having a baby sleep through the night!! Krista was incredibly positive and supportive and was always patient with us as we asked lots of questions. We will forever be grateful as the quality of our lives has dramatically improved! Thank you for your support and encouragement throughout this process! We were beginning to think that our son would be sleeping in our bed until he was 40! Your plan was very well laid out, easy to follow and accomplish. My husband and I appreciate the help, support and advice that you have provided us during Mason’s sleep journey. I would highly recommend your services! Our experience with Krista was amazing. We had a 5 month old baby girl who was only sleeping for 30 minutes at a time. If we held her or co-slept with her we may get a few more hours, but she still woke often. This led to her being quite cranky throughout the day and also took quite a toll on us. We wanted to see her happier and I knew that she just needed some good sleep habits. Krista was wonderful and listened to our issues and gave us a personalized plan that was easy to implement. She was readily available for questions and to give feedback. The change has been remarkable. Our baby girl now sleeps in her crib the entire night. We are so proud of the accomplishments she has made in just 2 weeks. As a result she is so much happier! She is like a different baby. What a change in sleep can do! We are so grateful to Krista for helping us through it. It has changed our whole family. When my son, Jacob turned 6 months old, I decided that since he STILL wasn’t sleeping through the night and his naps never lasted more than a half hour, I would enlist the help of a professional. It just so happened that that week I received an information sheet about kids and how important a good nights sleep is for them. On the back of the sheet was Sleeperific contact information. I started thinking about contacting Krista. I finally sent out a desparate email at 5:30 one morning begging her for some help. She actually got RIGHT back to me, calling at 7:30. I enrolled with the program and after finishing a detailed questionnaire, she sent me back a 10 page Sleep Plan! I was so excited to start this and I finally had some hope!! It wasn’t even two days before I started noticing a difference! I was able to put Jacob in his crib with out much crying – before I would to rock him to sleep every time he went down. He then started sleeping through the night (other than one night feeding) – before he was getting up every 2-3 hours. A couple weeks after that, he’s started having longer naps! Slowly we were getting our life back!! Thanks to Krista and Sleeperific, our family is finally sleeping through the night! Not only that, but Jacob is napping longer than half hour spans. I work from home, so it is very important for me to be able to sit down and actually get some work done. Krista was there to help me anytime I needed it, whether it be emailing a few times a day or calling and having her call me right back. I really did lean on her completely for support during the ‘sleep training’ process and she was always uplifting – especially after a long trecherous night! I wish I would have contacted her right away and had her work with us from birth. It’s amazing the difference support and knowledge can make! I would suggest Krista’s services to anyone and everyone with a child. . . and I have been! These stories sound familiar? Take the first step towards your resolution with a free consultation.